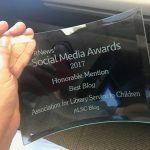 Those of you familiar with my ALSC posts will recognize a definite trend, but in case you’re late to the party or somehow stumbled here by mistake and have decided to stick around awhile, I’ll catch you up: I’m passionate about diversity, equity, and inclusivity – especially when it comes to children’s literature. So once a month, an author/illustrator who shares that passion stops by my library to booktalk diverse reads they love. This year, I’ve posted lists from Melissa Iwai and Isabel Roxas, and I’ve heard from a lot of you who are interested in seeing more. Generally, authors/illustrators provide too many titles to share in a single post, but Olugbemisola’s list was quite concise. You’ll find below all the titles we discussed during her booktalk, along with notes describing each book or series. In Jada Jones: Rock Star (2017), Jada must find a way to adjust to her best friend moving away. When her teacher announces the class will be doing group science projects focused on geology, Jada can’t wait to show her new friends everything she knows about rocks. But making new friends can be hard, especially when their interests are so different from your own. Jada Jones: Class Act (2017) sees Jada running for class president, and while Jada’s definitely a natural leader, she’s also terrified of public speaking. Add to that the fact she’s running against a friend and you’ve got a recipe for some tough lessons. A great series for fans of Ramona Quimby and Junie B., Jasmine Toguchi doesn’t take no for an answer. 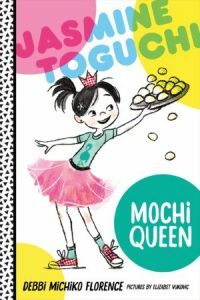 In Jasmine Toguchi: Mochi Queen (2017), eight-year-old Jasmine is sick of always waiting for her older sister to do things first. So when the New Year rolls around and her extended family gathers for mochi-making, Jasmine decides she’s finally going to be first this time: She’s going to join the men in pounding the rice! The latest addition to the series, Jasmine Toguchi: Drummer Girl (2018), is all about Jasmine’s quest to find her talent before the school talent show. All of her friends already seem to have talents, whether that’s playing the piano or pulling off yo-yo tricks. 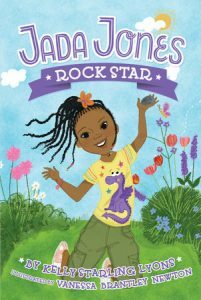 While at first Jasmine just wants to prove she’s talented too, soon she’s in it to win it. But when Jasmine decides to take up taiko drumming, she starts to learn that sometimes winning isn’t the most important thing. Make Way for Dyamonde Daniel (2009) introduced readers to new-girl-in-town Dyamonde, another take-charge character in the vein of Junie B. who’s living with her single mom in the city. Dyamonde is determined to make friends and take the neighborhood by storm, but the other new kid in her class seems to have a perpetual storm-cloud overhead. Can Dyamonde turn his frown upside down and make a new friend in the process? 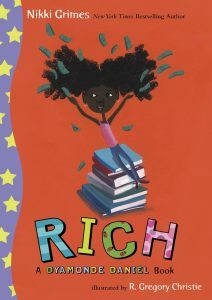 The sequel to Make Way for Dyamonde Daniel, Rich is a story about learning not to make assumptions and finding the value in everyone you meet. 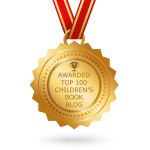 After Dyamonde and her best friend decide to enter the library’s poetry contest to win a $100 prize, they learn one of their classmates – who also happens to be a gifted poet – is living in a homeless shelter. In this first book in a series about No. 1, Nigerian author Atinuke introduces readers to life in West Africa – from No. 1’s small, poor village to the big, bustling city. Broken up into four interwoven stories about Oluwalase Babatunde Benson, nicknamed No. 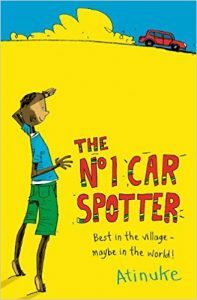 1 because of his ability to spot cars better than anyone else in his village, this young reader introduces children to issues of poverty with a gentle touch and light-hearted tone. Phoebe loves her pet fish, making lists, her best friends, and trying new things. In this series all about food and culture, Phoebe can often be found pushing her friends to step outside of their comfort zones – often to hilarious effect. 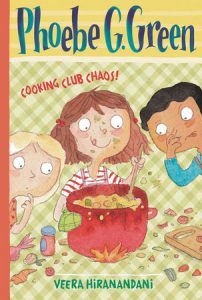 In the latest addition to the series, Phoebe G. Green: Cooking Club Chaos! (2015), Phoebe and friend Camille form a club to introduce third bestie, Sage, to exciting foods from around the world. Book one in the Kiranmala and the Kingdom series introduces us to regular New Jersey sixth-grader Kiran. 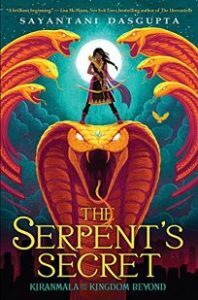 Raised on Indian legend and lore, and told she’s a princess, Kiran believes her parents simply have an eccentric notion of how to instill their culture – until a spell gone wrong casts them into another dimension. Now Kiran must travel to the land of her birth in order to rescue her parents. Along the way, Kiran learns more about her true history and culture – and that being a princess is more than ballgowns and tea parties. 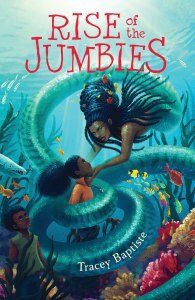 The sequel to 2015 MG novel The Jumbies, Tracey Baptiste’s Rise of the Jumbies finds protagonist Corinne La Mer settled back into island life and ready for a return to semi-normalcy. But now that everyone knows Corinne’s half-jumbie, they’re treating her differently – and things get worse when local children start disappearing. Corinne will need all of her strength to travel across the ocean, defeat the kidnapper, and rescue her friends. Inspired by Caribbean folklore and with a central theme that will lead readers to question the very nature of conflict, this engaging fantasy (with just a touch of horror) creates opportunities for grappling with uncomfortable realities, both modern and historical. 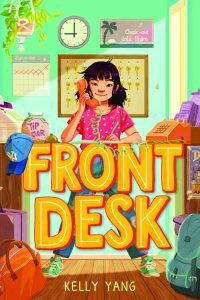 Recently-released MG novel Front Desk is the story of ten-year-old Mia Tang, who manages the front desk of the Calivista Motel – where she lives with her first-generation Chinese immigrant parents. All of the motel guests, including the immigrants her parents hide in empty rooms, are like family to Mia. So when she sees the people she loves facing discrimination, she decides to fight for her community. Dealing with heavy themes (including extortion and racism), this book sends a powerful message to young readers about standing up for what’s right. Interested in more titles from the Let’s Talk About Diversity series? 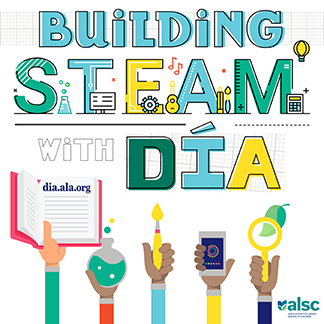 Reach out to me via email at kaitlinfrick@nypl.org for lists from authors/illustrators: Aram Kim, Melissa Iwai, Isabel Roxas, Ashley Woodfolk, Dhonielle Clayton, Nisha Sharma, and Sona Charaipotra.